Eventplanning.com recently had the pleasure of attending the L.A. Times Travel & Adventure Show. Held at the Los Angeles Convention Center, the show featured booths and information on hot spots around the globe including Hawaii, Ireland, China, Japan and Africa. The show also included presentations by some of the hospitality industries top players, including Lisa Ling (host of Our America), Rick Steves, Alice Short and Adam Richman (host of Man v. Food), as well as a zip line, cooking demonstrations and cultural performances. We spoke with a number of experts to learn where the up-and-coming destinations to hold meetings and events will be. Our top picks are based off of their accessibility, affordability, attractions, activities and choice of venues. Boise, ID: Boise is quickly becoming a top destination for meetings, conferences and special events. The clean and friendly capital of Idaho is not only home to numerous museums, hotels, art galleries and delicious restaurants; it is also an outdoor paradise. The Boise River cuts directly through the city and includes more than 25 miles of river-front pathways as well as fantastic river rafting and fishing opportunities. The Bogus Basin Ski Area is less than an hour drive from the downtown, and climbs 3400 vertical feet through deep forests. For event planners, the greatest feature of Boise is the Boise Centre, Boise’s convention center. The Boise Centre is home to 50,000 sq. ft of exhibition/meeting space as well as a 25,000 sq. ft. ballroom, an auditorium that seats 375 and state-of-the-art digital signage. Every year, the Boise Centre hosts more than 300 events and serves more than 200,000 guests. Currently, the total capacity for the Boise Centre is 4,200. Boise has become a popular destination for event planners due to its convenient location and abundance of recreational activities. For more information on Boise, please visit www.boisecentre.com. The Yukon, Canada: From breathtaking mountains to serene meadows, the Yukon is the ideal choice for scenic events. The Yukon is home to four unique communities: Whitehorse, Dawson City, Carcross, Tagish and Teslin and Haines Junction. Each community has their own distinctive venues, restaurants, hotels and attractions. The biggest venue to host events in the Yukon is the Yukon Convention Center. In 2011, the Yukon Convention Center played host to the Scotiabank Hockey Day. More than 300 guests attended the infamous Canadian day, and were treated to sporting events, galas, luncheons and media events, as well as a final gala and silent auction. Surrounding venues in Whitehorse that are recommended for large scale events include the Yukon Arts Centre, with auditorium seating for up to 426 and the Mount McIntyre Convention and Recreation Centre, which boasts over 21,000 square feet of meeting and event space. For those meeting-goers who wish to enjoy the sheer beauty of the Yukon, there is a number of activities they can engage in, including white-water rafting and heli-hiking in the summer, and snowmobiling, dog sledding and igloo building in the winter. Despite the chilly weather in the winter, holding a major event in the Yukon during the winter can actually include more activities for your guests. Special events in the winter include the Yukon Quest International Dog Sled Race, where mushers and their dog teams race the wilderness terrain between Whitehorse and Fairbanks, Alaska, and the Sourdough Rendezvous, a winter carnival that takes place during the last weekend in February. The Yukon is now also easier to get to than ever, thanks to 2 ½ – 3 hour direct flights from Vancouver, Calgary and Edmonton. For more information on the Yukon, please visit www.meetingsyukon.com. Sonoma, CA: Napa Valley, known for it’s scenic wineries, has some serious competition. Located just 30 miles north of the Golden Gate Bridge, Sonoma County is home to more than 300 wineries, 40 spas, 500+ restaurants and boasts more than 55 miles of gorgeous coastline along the Pacific Ocean and San Pablo Bay. Sonoma County features 6,6000 full and limited service hotel rooms, each of which offer flexible meeting spaces for event planners, as well as numerous wineries, golf courses, restaurants and unique venues with meeting spaces. To make Sonoma County even sweeter, the Sonoma County Tourism Bureau is currently offering an incentive program to planners who book their meetings and events in Sonoma County. 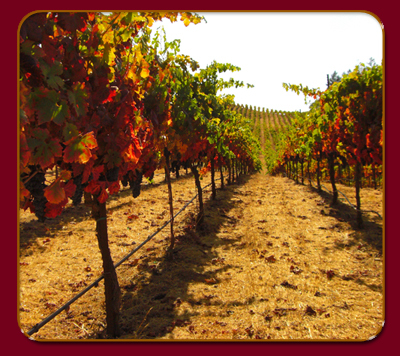 For more information on Sonoma County, please visit www.SonomaCounty.com. Baja, CA: Although Baja has always been a popular destination for weddings, it is quickly becoming a top destination to hold meetings and events. In June 2012, the Los Cabos Convention Center will open with its first event, the G-20 Summit. The 653,400 sq. ft. Convention Center will be able to accommodate over 6,000 guests and is currently being designed to be a “green” facility complete with energy efficient solar panels. Los Cabos itself is home to San Jose Del Cabo and Cabo San Lucas, two cities that are ideal for meetings and events. Cabo San Lucas is located at the southernmost tip of the Baja California Peninsula, and is known for it’s glitz and glamour. Cabo San Lucas is particularly known as a prime sport fishing destination, but is also home to a number of luxury resorts, restaurants, etc. For more information on Baja, please visit www.baja.com. -Written by Sarah Osman. You can read more from Sarah on her Twitter page. I was at the Travel Show too and the event was great. I missed this part so thanks for covering it. Great venues to check out. I’m looking into them now! Who would have thought that might tiny little city of Boise would beat a place like Sonoma California. I have been to Sonoma and it is gorgeous, but I must agree that there is nothing like Boise. Clean and quaint, it has everything one needs without the ridiculous bustle of some other large cities.